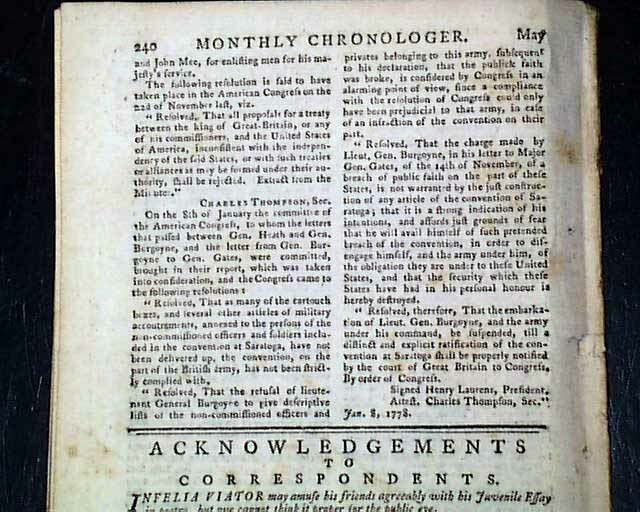 There is much on discussions in Parliament, one bit including: "...With regard to the American independency, if the Americans could be persuaded to give up the idea, he would be one of the first to vote for retaining them dependent on the sovereignty of Great Britain; but as he was confined they would not, he was anxious to keep them as allies..." with more on this and concerns over an American alliance with France (see). 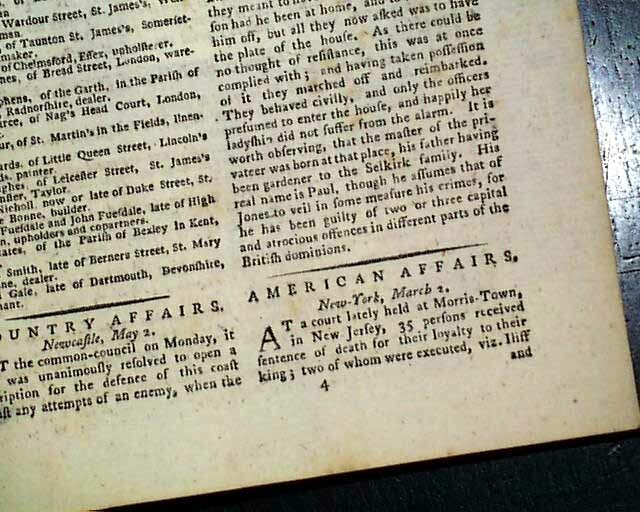 At the back are reports headed; "American Affairs" including: "At a court lately held at Morris-Town, in New Jersey, 35 persons received sentence of death for their loyalty to their king; two of whom were executed...". 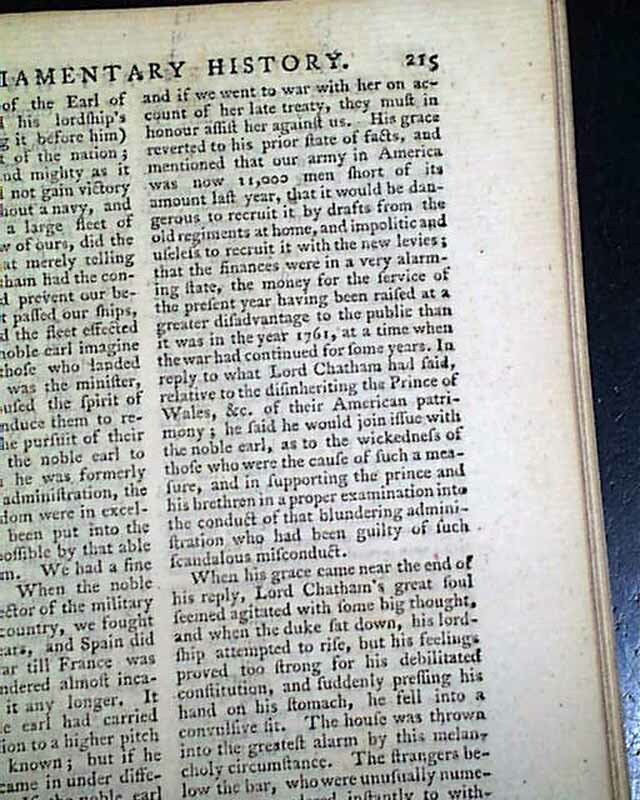 Also a Resolve from Congress: "That all proposals for a treaty between the king of Great Britain...and the United States of America inconsistent with the independency of the said states, or with such treaties of alliances as may be formed under their authority, shall be rejected." 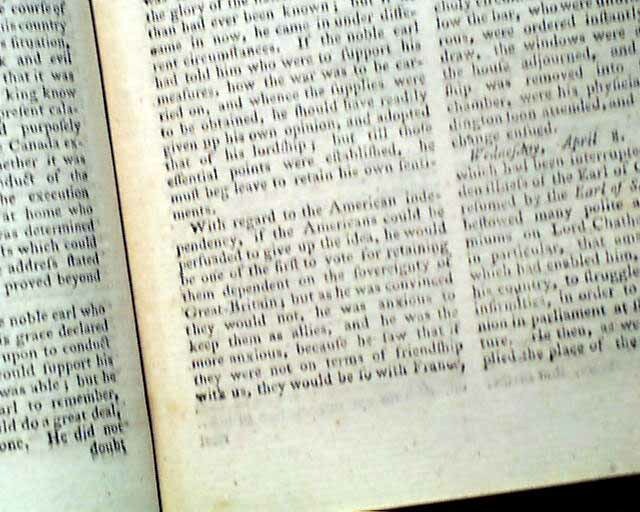 Nearly a half page on the situation with General Burgoyne after his surrender at Saratoga (see). Complete in 48 pages, 5 1/4 by 8 1/4 inches, very nice condition. Lacking both plates called for. 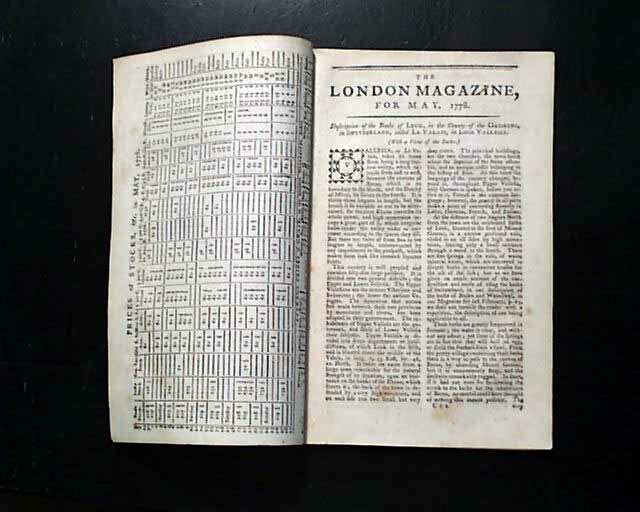 Formatted very much like the Gentleman's Magazine but a much more scarce title. 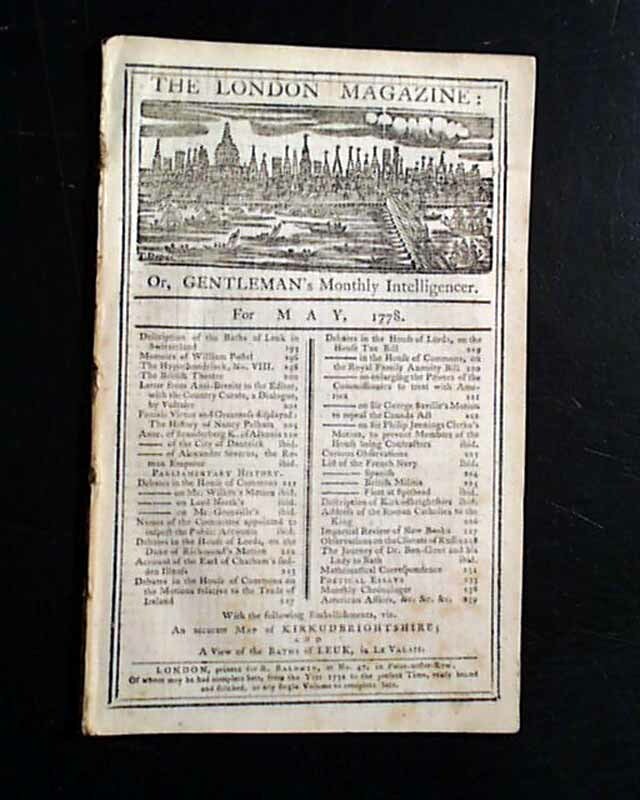 The title/contents page features a great engraving of the skyline of London.